Two Italian doctors have been suspended after they began throwing punches in the delivery room of an Italian clinic, with the mother and infant in serious condition following complications. According to an Italian News Agency, the fight broke out as a woman was about to give birth in the Messina Polyclinic in Sicily. The husband told police that during the heated exchange of words one of the doctors grabbed his colleague by the neck and shoved him into a wall. This was followed by the other doctor punching a window, which shattered, injuring his hand. 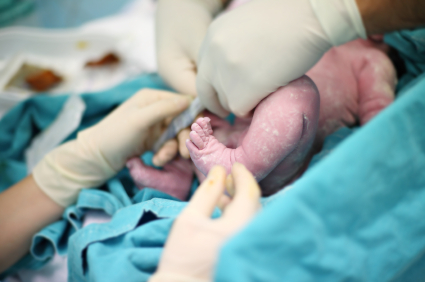 The laboring woman suffered a hemorrhage during the birth and needed to have her uterus removed. The infant suffered two cardiac arrests which caused cerebral damage and was moved into the intensive care unit. While the clinic said there was no link between the fight and the birth complications, it is very sad that this family has had to deal with this and all of the issues from the birth. They should have their licences taken away.